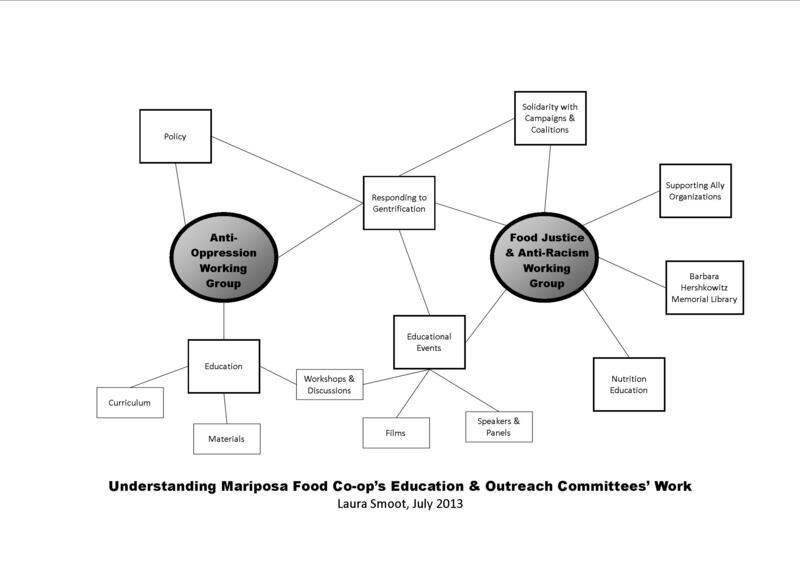 The Food Justice and Anti-Racism Working Group (FJAR) is a committee of Mariposa Food Co-op. FJAR understands racism to be a form of oppression that is linked to and reinforces all other oppressions, including food systems, both urban and rural. Therefore, we work to identify and dismantle institutionalized racism, classism, patriarchy, ablism, homophobia and transphobia within Mariposa, and to align our co-op with social change related to fair labor practices, food access, environmental justice and anti-gentrification. Our work will consist of organizing food justice and anti-oppression trainings for staff/members, offering solidarity and support to relevant local organizations, strategic organizational development, outreach and more. Our aim is to create positive social change at Mariposa which will serve as a catalyst in dismantling broader institutionalized oppressions in our communities. Interested in coming to FJAR’s next meeting, or learning more about what we’re up to? Please email education@mariposa.coop!